Swiss voters have backed proposals to impose some of the world’s strictest controls on executive pay, final referendum results show. Nearly 68% of the voters supported plans to give shareholders a veto on compensation and ban big payouts for new and departing managers. Business groups argued the proposals would damage Swiss competitiveness. But analysts say ordinary Swiss are concerned about a growing economic divide in the country. The vote came just days after the EU approved measures to cap bankers bonuses. The final results showed that all 26 Swiss cantons backed the proposals. In all, 1.6 million voters said “Yes” against 762,000, who rejected the idea. The multibillion dollar losses by Swiss banking giant UBS, and thousands of redundancies at pharmaceutical company Novartis, have caused anger in Switzerland – because high salaries and bonuses for managers continued unchanged. The new measures will give Switzerland some of the world’s strictest corporate rules. Shareholders will have a veto over salaries, golden handshakes will be forbidden, and managers of companies who flout the rules could face prison. The “fat cat initiative”, as it has been called, will be written into the Swiss constitution and apply to all Swiss companies listed on Switzerland’s stock exchange. Support for the plans – brain child of Swiss businessman turned politician Thomas Minder – has been fuelled by a series of perceived disasters for major Swiss companies, coupled with salaries and bonuses staying high. The main example is banking giant UBS, which wrote off billions in the wake of the 2007 sub-prime mortgage crisis, and then had to be bailed out by the Swiss government. 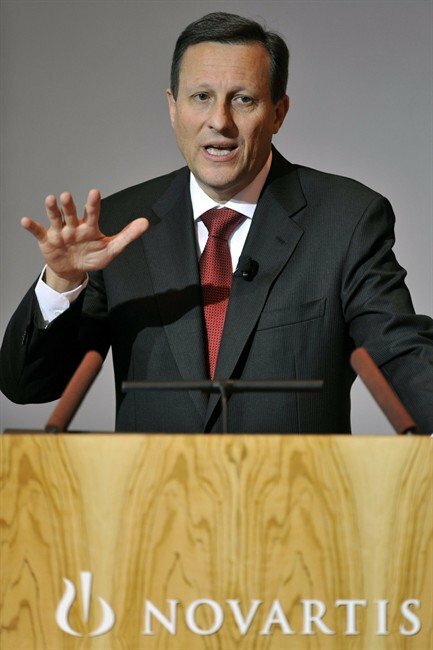 A further incident came in February when it was announced that the outgoing chairman of Novartis, Daniel Vasella, would be receiving a 72 million Swiss francs ($78 million) “non-compete” pay off over six years, designed to stop him working for other related industries. The payment was later scrapped, but it provoked anger and amazement in Switzerland, because Daniel Vasella’s salary had been regarded as too high and Novartis had been cutting jobs. One of the organizers of the referendum, Brigitte Moser Harder, said she thought the Swiss people agreed with the proposals because the gap between rich and poor had become wider. “From the beginning, 2006, we had the support of the people of Switzerland because you know not everybody in Switzerland is rich. Meanwhile, under an EU deal agreed last week by the bloc’s 27 nations, bonuses will be capped at a year’s salary, but can rise to two year’s pay if there is explicit approval from shareholders. The UK argued the EU bonus rules would drive away talent and restrict growth in the financial sector.